As Rugby League World Cup fever takes hold of the region, SRDFoundation are delighted to support the growth of ‘Pop-Up’ rugby league in the local Salford area. With interest in the sport growing, the Street Games Rugby League Pop-Up initiative aims to tap into the growing engagement with the game, while providing increased sports and social actity to individuals in the region. The Street Games Rugby League Pop-Up initiative is one of sixteen Street Games projects signed up to the latest Pop-Up Clubs initiative, aimed to deliver new and exciting activities for young people linked to national and international sporting events. With clubs not only looking to embrace the World Cup happening right now, but build towards the Rugby Sevens competition at Glasgow 2014 and Rugby World Cup 2015, the future looks good. The Street Games Rugby League Pop-Up initiative will be launching its activities in the coming weeks, with exact details soon to be announced. Young people in the area are encouraged to pop along and give the sport a go. It will be fun, friendly, plus there will be an opportunity to take part in a spectacular Finals Day event to coincide with the World Cup Finals. 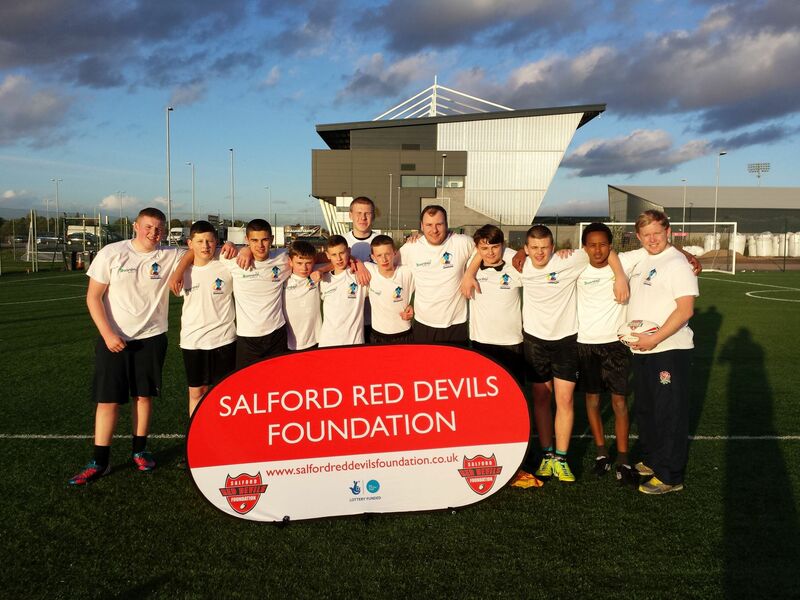 Salford Red Devils Foundation Community Coach Lewis Locket said, “It’s a fantastic opportunity for the sport to utilise momentum and attention gained through the World Cup to encage youngsters and the population with the sport on a grass roots level. We hope that the Street Games Rugby League Pop-Up initiative allows us to pass on our skills, knowledge and enthusiasm for the game to those new to the sport, while building up interest in the World Cup competition that’s going on right now. “With a number of our community teams already signed up and raring to go, we expect the scheme to be hugely popular in our region of Salford and the North West. The StreetGames Pop-Up Clubs programme will bring a variety of new sporting activities to the doorsteps of young people living in disadvantaged communities across the UK. The aim is to inspire young people to play more sport and help them form a sporting habit for life. Partnering with the RFL, this latest round of clubs will allow young people to try sport for the first time, not only to learn about the game, but to meet friends and have fun in the process. For additional information, please contact the Community Offices directly on 0161 820 2739, or visit our Twitter page (@SRDFoundation) or Facebook page to keep up to date with latest Foundation developments.